"Marty, I have already referred you twice"
Marty, when I was working with you, I always knew that I was being told the truth and that you knew your job. I have already shared my story about the other mortgage company who didn't do such a good job in this area and disgusted me to the point I wasn't going to refinance my home until Lindy Fuller encouraged me to call you. She sure was right about what a great job you would do for me! 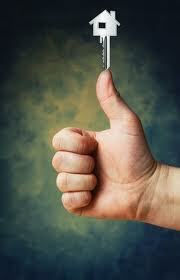 You were spot on with details of the loan process and very quick with approval and closing. I can tell that you care for your clients and I sure appreciated the confident and professional way that you helped me with my questions. I have already referred you twice and will be sure and refer you again whenever I can. Thanks Marty! "We could always get hold of you to ask questions." 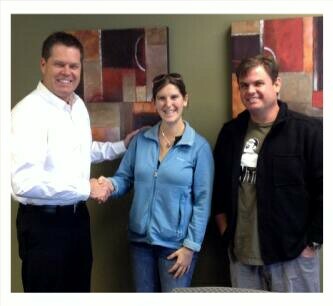 Marty, thank you again for your help with getting us qualified and closed so that we could buy our first home! We had a really good experience. You were always willing to be flexible and work around our crazy work schedules! 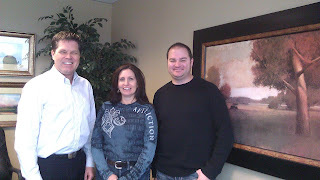 Your processing team did a wonderful job pushing our file to an earlier closing time when we moved up our moving date. You and your company really helped us by taking stress out of a stressful situation! Thank you again for all of your help and we will be sure and recommend you when we can to our friends and family! Marty, you were Fantastic to work with! You ALWAYS called us back immediately! you explained all the aspects of mortgages to us, programs, benefits and these were explained thoroughly-we appreciated this as first time home buyer's! Because you are so friendly we always felt comfortable with you! 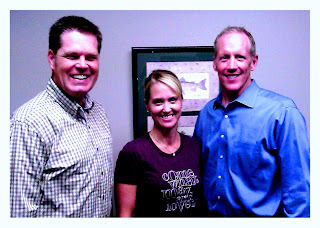 At the closing we told you we were so grateful that Jon DeYoung recommended you to us because of our terrible experience with another mortgage company where we suffered through repeated phone calls to them that were never returned, getting passed off to another person again and again, more phone calls that never got returned and in the end, we realized that they just didn't care about working with us. You and Jon were always there to help us with our questions and to help us through this homebuying process! Thanks again! We have and will refer you and Jon again and again! Buy now with awesome home prices and interest rates! CoreLogic has announced the release of its September Home Price Index (HPI) report, which found that home prices nationwide, including distressed sales, increased on a year-over-year basis by five percent in September 2012 compared to September 2011. 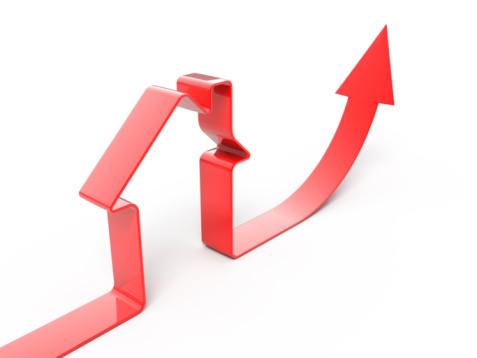 This change represents the biggest increase since July 2006 and the seventh consecutive increase in home prices nationally on a year-over-year basis. "Thanks for the great job you did of explaining things to us!" Marty, we appreciated that you were always available, even when it was late in the night you took our phone calls! When I needed help and you were there to answer my questions whenever I needed you! Our waiting time for our offer acceptance was a LONG time (because it was a short sale offer) and you kept in really good contact with us during the past 5 months. We felt we couldn't have had a better team to help us with you and Jon DeYoung! We will refer you to our friends and family when ever we can, you can be sure of that! Thank you!!!! No one wants to hire an inferior Real Estate Agent, but how do you spot one? Here's 5 Tips from money guru Dave Ramsey that will let you know you are working with the wrong agent, or if you haven't hired one yet, how to find a great agent to work with. If you don't like to take chances, I can refer you to one of my Realtor Business Partners who will help you meet your needs! Your real estate agent is a marketing consultant with just one goal: getting your home sold. And since you'll pay thousands of dollars whether the agent does a poor job or an outstanding job, it just makes sense to hire the best agent you can find. Interview an agent who is recommended by someone you trust! They sell the "average" number of properties. The top 10–15% of agents handle nearly all real estate transactions. If you're not working with one of those top agents, you're going to be disappointed. And don't be fooled by how many millions of dollars worth of homes they sold last year. In an average market, $1 million of real estate represents just eight homes. They're a part-time or discount agent. You want a high-octane, high-energy agent who knows what needs to be done and is willing to do the work to get your home sold. Part-time and discount agents won't have the time or marketing dollars to devote to selling your home. They don't have a knack for selling. If your agent can't sell you on what a great agent they are, they won't be any good at selling your home either. Selling is an art—and you're looking for a natural. They're too nice to tell you the truth. Ask potential agents to give you suggestions on what to change in your home to help it sell. You want an agent to give a tough critique of your home without worrying that their honesty might lose you as a client. They haven't gotten the job done. The latest numbers show that half of all homes sell in 70 days or less. Click here for my previous blog post Homes sales stronger for more information on where our Real Estate market is and is going. If your home has been on the market more than three months with few showings and no offers, it's time for a serious talk with your agent. 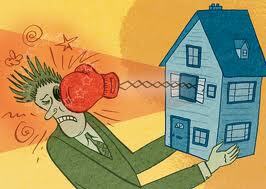 The longer your home stays on the market, the tougher it will be to sell for the price you want. Home for sale: # of days on the market decreasing! Home prices are going UP and selling FASTER! The National Realtors Association "Existing Home Sales Report" last week has revealed other relevant housing data for today's home buyers and sellers. Most notably, the average home's "Number of Days on the Market" slipped to just 70 days nationwide. This tells us that homes are selling 31% faster as compared to a year ago. Now, some might say that homes are selling more quickly because they're being priced more appropriately (i.e. "cheaper"). As it turns out, that's not the case. The median home sale price is up 11 percent from last year and prices appear headed higher still. The primary reason why home prices are rising is because buyers outnumber sellers, and mortgage financing has become cheap. Call me to get your credit approval into place and before beginning your home search, click here for my blog post on Tips for the Home Shopper in a changing market. There are four major things to avoid doing before applying for a loan and during the loan process itself. Any one of these four things can greatly impact your ability to qualify for a mortgage loan, so it is critical to avoid doing any of the following until AFTER your loan is closed. IMPORTANT: Your loan is funded and recorded (closed) when you get your keys on a purchase transaction and for a refinance transaction your loan is closed when you have gone through the 3 day right of rescission period and your loan has been funded and recorded (you will receive a phone call or an e-mail from me or my processing team that your loan has been completed!). Low rates increase home buying power! Low rates increase buying power! When mortgage rates get this low, buyers feel less sting from rising prices and are willing to "extend themselves" a little bit. Purchasing power climbs 11% for every 1 percent drop in rates. That's a significant shift with mortgage rates at all-time lows. As buyer's, when things are "on sale", like mortgage rates are and like home prices are, we feel we can afford more. And we can. On the flip side, as the housing market continues to recover and we begin to see higher prices, coupled with slowly increasing mortgage rates. The National Association of Realtor's (NAR's) Existing Home Sales report tallies home sales of previously-occupied homes and not since the tax-credit fueled Spring of 2010 have so many "used homes" been sold. In addition, the trade association reports that just 2.32 million homes remain for sale nationwide -- the sparsest supply since March 2005. At the current sales pace, the entire U.S. stock of homes for sale would sell in just 5.9 months. Housing market analysts believe that a 6.0-month supply represents a market in balance between buyers and sellers; neither group benefiting from much negotiation leverage. With supply below 6.0 months, then, leverage tends to shift toward sellers. When home supply falls, more buyers compete for fewer homes, a situation which leads to "multiple offers" and competitive bidding. Homes sell more quickly, at higher prices. Homes are selling 31% faster than 1 year ago! According to the National Association of REALTORS®, the September Existing Home Sales showed 4.75 million units sold on a seasonally-adjusted, annualized basis. The September 2012 reading marks an 11 percent increase from one year ago. With the sales number in the NAR report, home are selling 31% faster when compared to one year ago. Click here for my blog post on advice on how to be prepared to win in a bidding war. Post Card just went out to my clients! Refinance Opportunities! 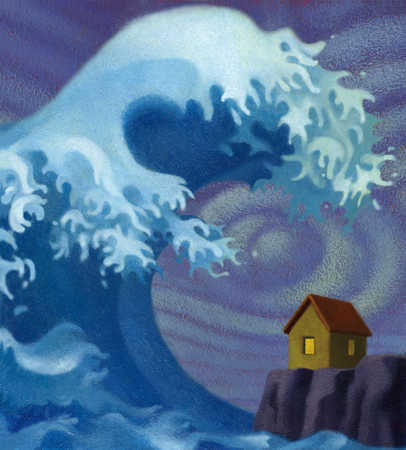 After reaching record lows in 2012, mortgage rates are expected to creep up slowly in the year ahead, the Mortgage Bankers Association predicted on Tuesday, October 23, 2012. Rates on the 30-year fixed-rate mortgage are expected to average 3.8% in the fourth quarter of 2012, rising to 3.9% in the first quarter of 2013 and eventually rising to an average 4.4% by the fourth quarter of next year, the MBA said. 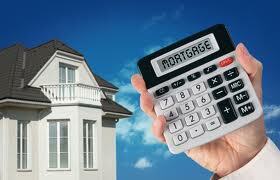 The 30 year mortgage rate is expected to average 4.1% for all of 2013. 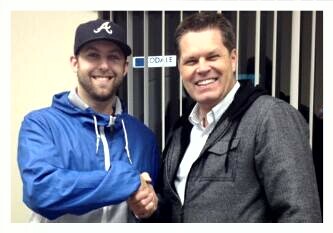 Brandon and Marty celebrating a great interest rate! Marty, your help when we bought our home 3 years ago was awesome and the help you have given us on this refinance was awesome as well! I would also like to add how much we appreciate the time you take to keep us updated throughout the loan process. Thanks again for helping us with this refinance and getting us into this house to begin with! We loved working with you both times. Homeownership and Children: It's a great combination! Homeownership is associated with lower high school dropout rates and lower teen birth rates, according to a new study by professors Richard K. Green and Gary D. Painter at the University of Southern California and Michelle J. White at the University of San Diego. The study, "Measuring the Benefits of Homeowning: Effects on Children Redux" found that, after accounting for other factors such as parental education, the dropout rate among children living in owner-occupied homes was 2.6 percentage points lower and the teen birth rate was five percentage points lower than for children living in rentals. The FHA Streamline Refinance has perks! The FHA Streamline Refinance is a unique mortgage product, available to homeowners with existing FHA home loans. The program was built to be the fastest, simplest way for an FHA-insured homeowners to refinance their respective mortgages. The FHA Streamline Refinance's big draw is its leniency. For homeowners using the FHA Streamline Refinance program -- according to the FHA rulebook-- income is not verified; employment is not verified; and, credit scores are not verified. So long as an FHA-backed homeowners makes his mortgage on-time payments for a period of at least 12 months, a mortgage approval is all but guaranteed. Call or e-mail me if you have an FHA loan that you would like to refinance and I can review your benefits. The FHA Streamline Refinance is an excellent program with lots of success stories. It remains the fastest, easiest mortgage refinance program in the country. 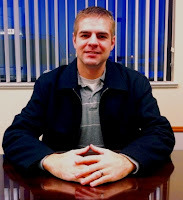 For portions of my Blog Post I would like to thank Dan Green (NMLS #227607) who is an active loan officer with Waterstone Mortgage and writes excellent daily Blog posts about the Mortgage Industry. Benefits to Buy and Sell by year end! Every intentional human behavior has one or more payoffs. Sometimes they are rewards we’re consciously aware of, like getting our literal paychecks in exchange for the sweat of our brows. Other times, we are much less conscious of the potential payoffs of our behavior, as when someone procrastinates at filing their taxes to avoid the realities of their financial situation (for a while - the tax man always cometh, sooner or later). Psychologists call these less-obvious payoffs “secondary gains.” According to them, a payoff is a payoff, whether or not you know you’re getting it! When it comes to putting a firm, year-end deadline on your personal mission to buy or sell your home, there are the obvious payoffs of having 2013 dawn on your new life in your new home, being out from under water or simply being able to move onto a new phase of your life. But there are loads of secondary gains, as well. If you have a home loan call me for refinance analysis! A post card hit my clients mailboxes today to remind them that rates are at near historic lows and if they have a home loan, they can probably see a significant savings each and every month by refinancing! I'm encouraging my clients to call now to see how much they can save! Gas Prices are UP. Airline Travel is UP. 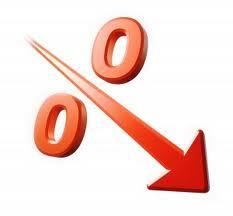 Home Mortgage Refinance Rates are DOWN! The dream of buying my own home has come true!! 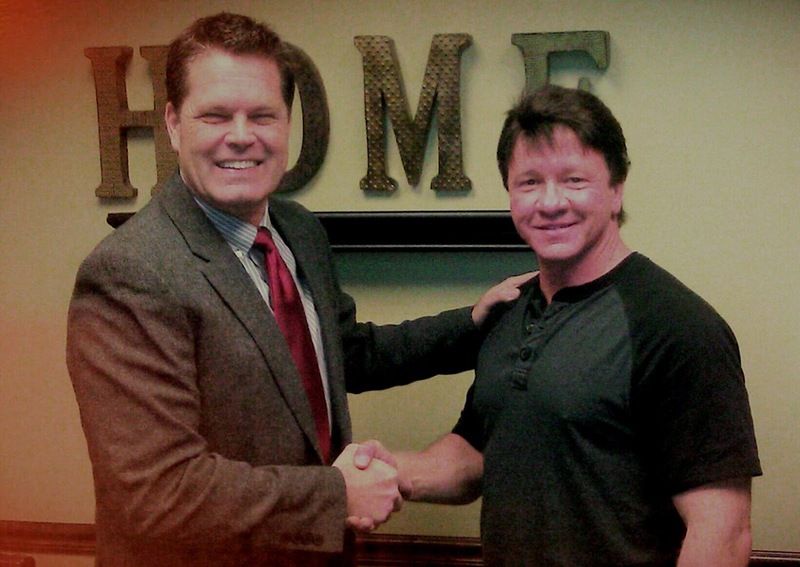 Marty, I wanted to thank you again for the wonderful experience I had in purchasing my first home! As you know, I went to 3 lenders before I met you and they couldn't figure out how to get the loan done. YOU FIGURED IT OUT! You suggested options, kept working with my situation and were creative enough to enable me to move forward and close my loan! You were helpful and kept communicating with me from the very first time that Bill Anderson recommended and introduced me to you until closing! VERY impressive! Thanks again Marty for the great job you do! Marty, we called you to help with our refinance because you were the one we knew would help us with the analysis we needed to make a good decision! 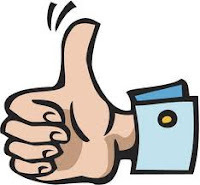 As you have always done before, you reassured us with your great follow up every step of the way! Even in this difficult mortgage environment, you were excellent in resolving any issues to make sure that we could lock in on a rate of a lifetime! 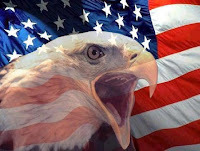 FHA : "Ignore" Foreclosures, Bankruptcy, Short Sales? Under the FHA's expected new plan (anticipated within the next 90 days or sooner), these waiting periods will be waived in full. Soon, FHA-insured loans may be available to home buyers who may have been recently foreclosed upon; for whom a short sale was necessary; or for whom a Chapter 7 bankruptcy was discharged yesterday. The FHA's new waiver on foreclosures, short sales and bankruptcies would add to the national pool of home buyers, creating buy-side demand for housing and upward pressure for home values nationwide. The real estate market is changing! Home sales are rising, properties are selling faster and home prices are going up! I read and appreciated Shawn Janke's (President of Northern Wasatch Association of Realtors) article in today's Standard Examiner Homefinder section. In his article, Shawn provides tips for homebuyers to follow so that they will have success in today's real estate market. Tip 1: Get Pre-Approved for a mortgage-I have written many blog posts that tells of the value of a FULL credit approval letter. A FULL credit approval is backed by a full application, credit report and an automated underwriting decision (AUS). I provide a FULL credit approval letter to my clients at NO CHARGE and this puts their real estate offer at a significant advantage when submitting an offer! Tip 2: Do your research-With market knowledge and the competitiveness of the buyer's for the home you want, the homebuyer can then gauge how quickly they will need to move on a listed property. Budgeting for future payments, types of loan programs available to meet financing needs and payment size are things that I review in detail with all of my clients. Tip 3: Be ready to compete with other buyers-I see larger earnest money deposits recommended by Realtors I work with because it gives the seller and the listing agent a loud and clear message: "I am a serious buyer!". I have even seen NONREFUNDABLE earnest money offers drive down the sales price too. Gutsy to put in a non refundable earnest money offer, but it works to get a lower price in some competitive situations! Tip 4: Be ready to act quickly-as mentioned in Tip #2, as your do your research and work with a professional Realtor, you will recognize "this is a good deal". When you know it is a good deal, be ready to make and offer right away! Make sure that your Realtor knows your search criteria and when they notify you of a home coming on the market that meets your criteria, look at it immediately and if the home meets your needs, make the offer! Tip 5: Try finding homes before they're listed-make sure you mention to your Realtor to let you know if they know of any homes that are about to come on the market. Sometimes, Realtors get tips from other Realtors they network with or who are in their Real Estate office/company and this can turn out to be a great way to find your perfect home! 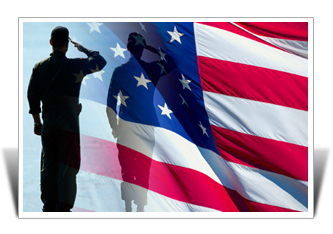 Automatic Mortgage Relief for VA borrowers! The Federal Housing Finance Agency announced that members of the military who face transfer and are underwater on their mortgage-meaning they owe more than the market value of their home-will automatically be approved for short sales. In addition, the loan guaranteed by Fannie Mae or Freddie Mac (a requirement for the short sale relief) will not pursue any balance on the loan that's left over after the short sale. "It is in everyone's interest for the men and women serving in our armed forces to focus on the important job they are doing defending our country, rather than worry about the maintenance and leasing of a property in another jurisdiction," said Edward J DeMarco, acting director for the FHFA. How to win in a bidding war! The latest Board of Realtors report released yesterday shows a 12.8% year over year increase in homes put under contract and a 4.1% month over month increase for the largest monthly gain since 2006. As home buyer's enter the real estate market and find tight inventory in their price range, multiple offers are the norm for the past 30 days of activity in my experience. The current multiple offer environment we are in is not creating extra revenue or profits for the seller's, but it is creating disappointment for buyer's who are not able to get the home they are bidding on. Make sure as a buyer you are well prepared-a FULL credit approval letter (backed by an application with your lender, a credit report and credit analysis, and an automated underwriting approval) in hand, is a must. 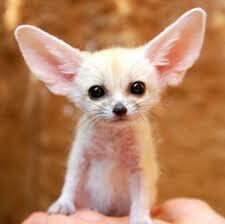 I am receiving phone calls from 80% of listing agents asking if the letter of approval is backed by these things. What does the Comparative Market Analysis (CMA) tell you? A Realtor Professional will provide guidance to the buyer on how the home price stacks up against similar homes in the general area the home is located. Fight off emotions until the offer is accepted. During negotiation, keep your negotiations on an investment level, emotionally. Facts and guidance from your Realtor will help you keep your offers realistic. Don't be afraid to win the bidding war! After you have successfully won the offer, your next step is to get the home checked out by a professional home inspector. I am finding that 90% of home purchasers are paying the small price ($250-$500) of a professional home inspection to make sure this is the home they REALLY want. There are financing and appraisal dates in the accepted contract that allow the buyer to exit the contract if they find the home isn't really what they wanted. April 25, 2012: "For people who have been waiting to time their home purchase close to market bottom, it's time to start shopping. When the bottom will hit will vary by market, and it's nearly impossible to time a purchase exactly right. But home prices are not the only part of the equation. Buyers also should take into account the possibility that rising mortgage rates could offset any further home value declines that may occur." HARP 2.0 Update: Roll out of AUS coming in April! April 3, 2012 HARP 2.0 Update: The middle to the end of April is the new time frame which has been given for the roll out of the Automated Underwriting System (AUS) update and for investors to update their guidelines. Call me at 801-540-5108 if you have further questions. all the hard work you folks have done for us! Additionally, with the FHA no cost streamline refinance available and now the VA Interest Rate Reduction Loan (IRRL) changes which did away with the need for a current appraisal (which is the same as the FHA streamline no cost loan refinance loan). 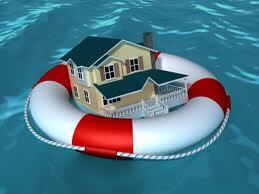 FHA (Streamline NO COST), I have 3 great refinance options available to help underwater homeowners! March 1, 2012 UPDATE on the HARP 2.0 program: Fannie Mae and Freddie Mac have named the date of March 19, 2012 when they will be rolling out their respective Automated Underwriting Systems (Fannie Mae Desktop Underwriter and Freddie Mac's Loan Prospector). I have found from my conversations with those who have contacted me that over 90% of HARP 2.0 eligible homeowners can lower their rates by more than 1% and the average current rate of those needing help is in the 5.875% to 6.5% range. This program is going to help many homeowners who have been on the sidelines and not able to take advantage of great refinance rates available this past 3 years. Another noteworthy item is that over 85% of those who have called me are underwater (their homes are over 100% loan to value). The current loan to value needs to be at least 80% loan to value to be eligible for the HARP 2.0 loan and there are NO loan to value limits (my highest loan to value to date has been 200%). Quick Overview of HARP 2.0: The loan must be currently insured or owned by Fannie or Freddie and 2nd homes and investment properties are also eligible. If the current loan doesn't have PMI, it will not be required on the new loan, regardless of the current loan to value. If the current loan has PMI, the new loan will be "re-insured" and will also have PMI. 2nd mortgage holders (Home equity loan or line lenders) so far to date, have agreed to subordinate (remain in 2nd position) to a new HARP 2.0 loan for those homeowners who have contacted me. Marty, we always have a great experience with you! You called us so we could save money by refinancing, the closing was especially quick and you gave us excellent updates and feedback on where we were in the loan process. As always, everything went smoothly and we thank you again for taking care of us! Marty was professional and efficient and he is always able to understand what our loan needs are. 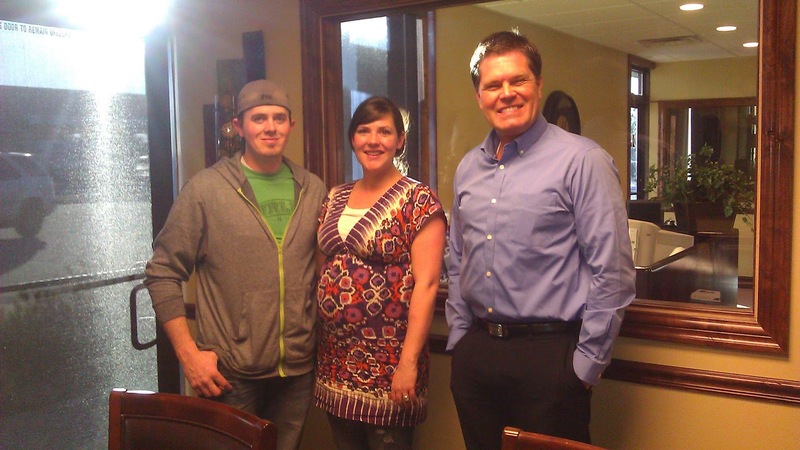 He found a loan that perfectly matched what we were trying to accomplish! 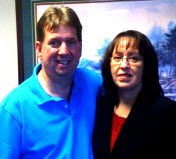 Marty helped us in 2008 and we called on him again to help us because of his ability to quickly process our needs and close our loan (and at a GREAT rate and low closing costs!). Buy now (in March) and save $264/ year in payments! Want to save more money by buying now rather than after April 1, 2012? FHA mortgage insurance is increasing to a 1.75% up front mortgage insurance premium (currently 1%) and 1.25% for the monthly mortgage insurance premium (currently 1.15%) on April 1st, 2012. I calculated the increase in payment on a $170,000 sales price home and it would be $22/month ($264/year, $3168 over 30 years). How long do I keep my tax forms, home and mortgage records? How long do I keep my tax records? Since we are into tax filing season, and as a homeowner who has accumulated paperwork from purchasing my home and refinancing several times, I wanted to do some research into how long I needed to keep my records in case I had an IRS audit. Unless it suspects fraud, the IRS generally cannot launch an audit more than three years after an individual tax return (six years for those who own their own business). Nonetheless, it is best to keep all copies of your annual returns forever. Tax returns will come in handy if you get into an argument over your income with the IRS or with the Social Security Administration (SSA with filing for benefits at some future time). How long do I keep my home documents? Keep the final settlement statements you received when you first purchased your home. Keep these until you sell the home. Because home improvement costs can be added to the "adjusted cost basis" of your original purchase price, keep your receipts and cancelled checks on home improvements you have made. This record keeping can save you thousands of dollars in taxes by offsetting taxes you may owe when you sell. If you take a home office deduction, keep copies of records for at least 3 years in case of an IRS audit. How long do I keep mortgage records? Mortgage statements can be shredded as can past refinance records; save your most current mortgage refinance papers and the rest can be tossed. 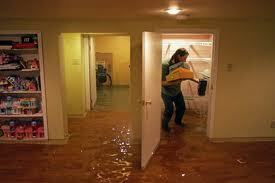 As I mentioned above, save your original purchase documents until you sell the home. Warren Buffett says buy a house now! In two recent interviews with Warren Buffett he again stated the obvious: Buy a house now! Make sure you read the last paragraph of this post to hear another compelling reason to buy now! Warren's reasoning comes from a unique idea he has of "short-selling" your dollar with real estate investments. With the value of the dollar depreciating 79% since 1990 (if you had a dollar in 1990, to buy the same stuff today, you need $1.79). What does he mean when he says to short sell your dollar by investing in real estate? Here's why a real estate investment protects your dollar so well: Sure, values have dropped over the past 3 years, on average (nationally) by 42%, but they haven't dropped 79%! That's a 37% return on your dollar IF it was invested in real estate in arguably the worst real estate market we have seen since the great depression. He has a good point. With home values low, best mortgage rates in history, and the home affordability index the best since 1943, what better time to purchase a home than right now?? Marty you are a true professional in your business! While working with you last year with my rental refinance and on this loan, you have always been timely with processing, underwriting and closing updates. When I needed a response, you were always quick to get back to me about my question. You have been a pleasure to work with and thank you for your help! Is a "seller's market" around the corner? According to the National Association of REALTORS®, Existing Home Sales rose to 4.57 million units last month on a seasonally-adjusted, annualized basis. This represents a 4 percent increase from December's revised figures and puts the benchmark figure at a 20-month high. Not since May 2010 -- at the tail-end of the federal home buyer tax credit program -- have so many existing homes sold in a month. An "existing home" is a home that's been previously occupied and is not new construction. Beyond the headline stats, though, there's a lot about which today's sellers should be excited -- beginning with the national home inventory. With just 2.31 million homes for sale nationwide, the national housing stock is at a 5-year low and falling fast, down 21% from just a year ago. Furthermore, with low mortgage rates and an improving economy stoking U.S. buyers into action, at the current sales pace, the complete U.S. home inventory would be depleted just 6.1 months from now. That's more than twice as fast as compared to July 2010. Furthermore, analysts say a 6-month supply represents a market "in balance". Anything less is considered Bull Market territory and we're headed there shortly. My name is IRRRL (we pronounce it "Earl" in the lending world) and it is a VA to VA Streamline Product, the last of the true streamline mortgage products. Here is why it is such a great product and a wonderful way for me to be able to say "thank you" to our Veterans for the service that they have given our country.